OpenStack Private Cloud on Your Laptop with DevStack Guide is a complete Guide with needed video for setup of private Cloud using your laptop as Bare Metal. We told you to get your Ubuntu to ready for Private Cloud ! There is not to much to say about this guide on OpenStack Private Cloud on your Laptop with Dev tack Guide, the word ‘laptop’ in title we hope will make people more interested. Total cost is zero up to the point we have shown you. OpenStack Private Cloud is deployed with DevStack using your computer / laptop as bare metal like a data center. First the Ubuntu must be of minimal setup. Second is, the Internet connection, Router etc. should be clean and have a Static IP, proper DNS etc. Third is, install the needed components to make it a LAMP server, if you are hesitating with commands, you can read this guide. We will take that you already know the Debian specific UNIX commands. 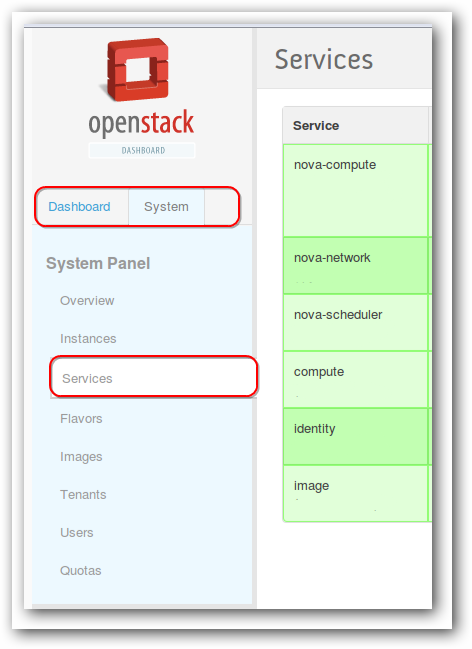 The reason to use DevStack instead of OpenStack are various. OpenStack can be deployed with low (relatively) RAM too, but networking mode is important. Basically we have installed server components on Ubuntu, so it has become Server with GUI. You will get the OpenStack panel. It reminds me of old Rackspace mail server GUI. The options are also quite familiar. Instances and services are two important things which you must understand clearly for OpenStack Private Cloud setup. With direct OpenStack Private Cloud Software, there is no pain of so much CLI commands. As you actually need no big config Cloud Server to add, you can do a practice with this kind of setup. Otherwise this way to setup is actually not for real usage in deployment field. It is actually not enough stable. This Article Has Been Shared 1142 Times! Cite this article as: Abhishek Ghosh, "OpenStack Private Cloud on Your Laptop with DevStack Guide," in The Customize Windows, October 16, 2012, April 18, 2019, https://thecustomizewindows.com/2012/10/openstack-private-cloud-on-your-laptop-with-devstack-guide/.